Shown in 18k Yellow Gold, with a centre diamond of 0.60cts. Round Brilliant Cut, G Colour, SI1 Clarity, 44 grain set diamonds 0.40 total weight. "Working with Zoe was incredible. She understood, by email only, what I was looking for and how I wanted to play it, and her design process was clear, fun and inspiring. Although, more importantly was that it was more than a design process, that it was bigger, higher, deeper than that and thatâ€™s a level you have to connect on to really get such an important thing right. 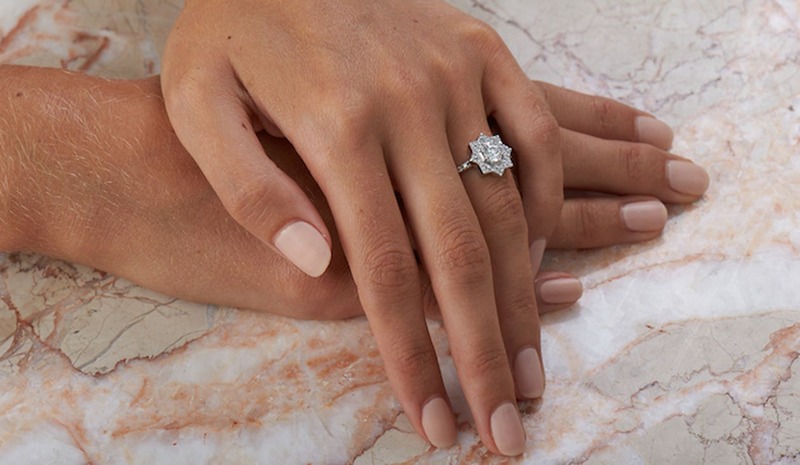 You're not simply choosing a ring, you are adding a permanence to your lives with a symbol of your love and you want that to be forever cool, and unique and to connect with you both. I was seeking beauty, I found it, and my wife and my life are all the happier for that."